Resorts such as Wyoming’s Grand Targhee are grooming fat bike specific trails in the winter (click to enlarge). Editor’s Note: This article is part of the Mtbr Ultimate Guide to winter mountain biking. We are taking a deep dive into all manner of cold weather mountain bike gear, with round-ups and reviews of fat bikes, tires, wheels, lights, apparel, trainers and more. To see all the articles, head over to our Winter Guide Hub Page. While the bike industry was quick to jump on the fat bike trend, it has taken the resort world a little longer to develop infrastructure and work out trail use etiquette. Many though have figured it out and offer miles of winter fat bike smiles. Meanwhile, grassroots, volunteer efforts have also delivered big on fat bike trails. Hundreds of miles of trails are now groomed with fat bike riders specifically in mind. With IMBA recommendations and trail user education, Nordic centers across the country are welcoming fat bikers onto their groomed trails. Some even offer fat bike-only groomed singletrack. With new venues popping up all the time, a comprehensive list of fat bike-approved trails is virtually impossible, but here in nor particular order is a list of 10 standouts. And if you’re interested in grooming trails in your area, or encouraging your local resort to include fat bikes, check out IMBA’s best practices for fat biking. Winter Park is dubbed “Mountain Bike Capital USA” and when it comes to fat biking it certainly delivers. 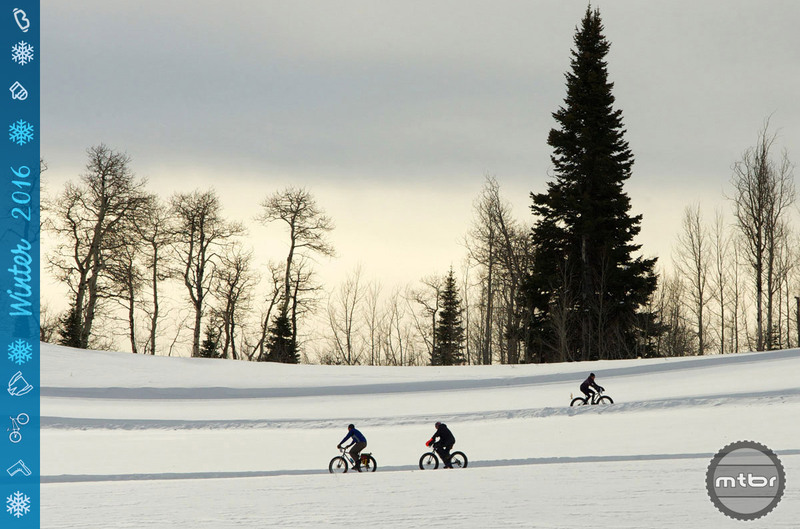 This Fraser River Valley locale grants access to fat bikes at many of its Nordic centers and with a new fat bike race series, Winter Park is truly embracing two-wheeled winter fun. If traveling to the area, be sure to take care in the rarified air of 9,100 feet. Two popular fat bike trail systems near Winter Park are Snow Mountain Ranch and Devil’s Thumb Ranch Resort. Snow Mountain Ranch/YMCA of the Rockies has 25 miles of trails where fat biking is permitted. Of those, 7.5 miles are singletrack, another 7.5 miles are multi-use for skiing, dogs and fat bikes, and additional 11 miles are for Nordic skiing and fat bikes. Its Nordic Center has a full fleet of fat bikes and hosts a series of fat bike races. Rentals run $60/day or $40/half day, and include a helmet. You’ll also need a $20 day trail pass that gives access to the ranch’s sledding hills, gym, pool, and ice skating rinks. More info at snowmountainranch.org. Devil’s Thumb offer fat biking on 16 miles of groomed trails. Bike rentals run $45/day and include a helmet. Whether renting or bringing your own bike, you’ll also need to buy a daily trail pass for $20. You can call ahead for availability and trail conditions at 970-726-8231, and you can find maps and other information at www.devilsthumbranch.com . Winter Park also has an online map of winter trails that can be found at www.playwinterpark.com. 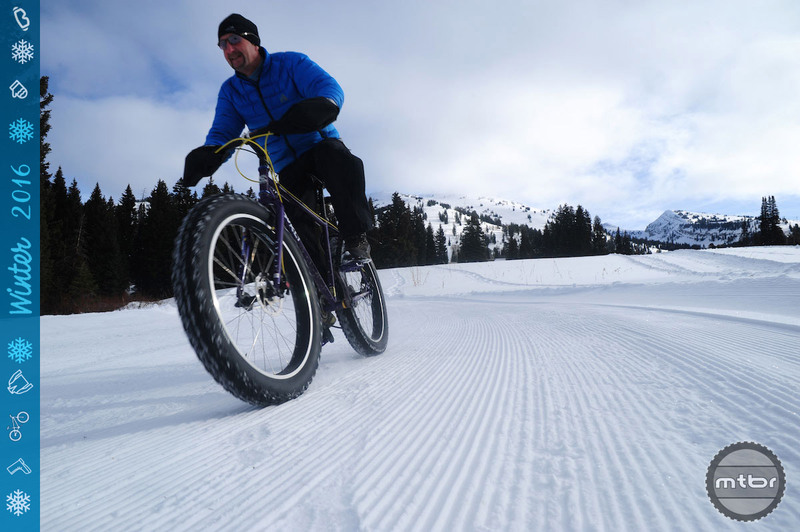 Grand Targhee allowed fat bikes on its Nordic trails in January 2012, the first resort in the U.S. to do so. Four years on, they now offer 13 miles of fat bike accessible routes, including four miles of dedicated singletrack. Jolly Green Giants and Greenhorn are standouts, as both are entirely singletrack. Daily trail passes run $10 for adults and $6 for kids aged five to 12 years. The resort also permits night riding for a supremely unique winter experience. The area’s local trail system in Driggs, Alta, Pioneer Park, Teton Canyon and Teton Springs also allow fat bikes year round. 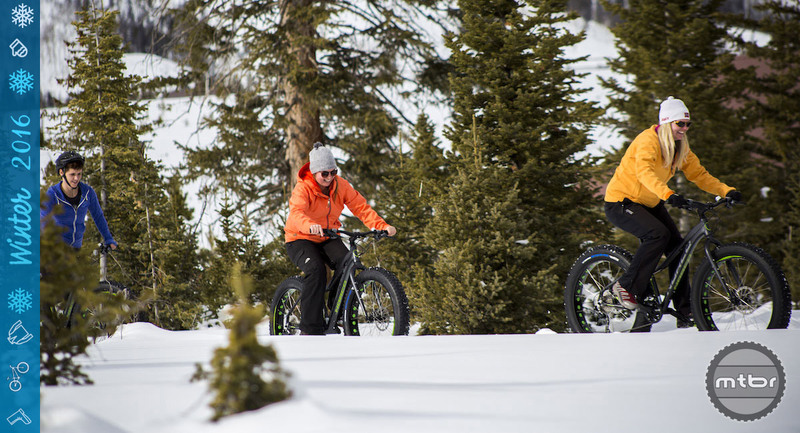 Fat bike rentals can be found at the Grand Targhee resort at Teton Mountain Outfitters. In nearby Driggs head to outdoor store Habitat for rentals and trail information. For more info visit www.grandtarghee.com. 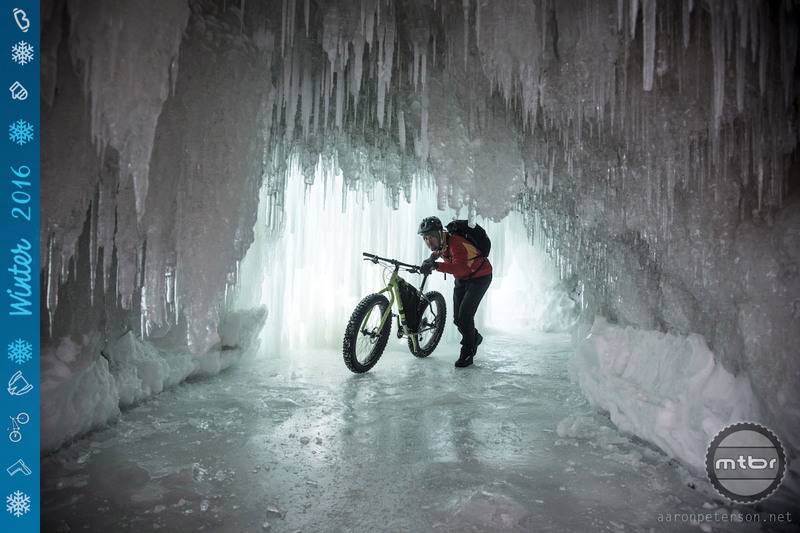 The Noquemanon Trail Network near Marquette in the central Upper Peninsula of Michigan is a winter wonderland of fat bike riding. With 60 miles of groomed singletrack fat bike exclusive trails maintained by NTN Singletrack and RAMBA, it’s hard to go wrong with a winter trip to Marquette. Because the area receives 200 to 300 inches each year, the experience of fat biking Marquette’s trails can be like a Luge run, with three to four foot snow banks on either side of the trail. The area started grooming trails seven years ago via snowshoes, and then began developing its first grooming drag six years ago. Pulled by a snowmobile, the group is now developing a groomer that plows, tills and compacts in a single pass. Travel Marquette, the city’s tourism organization, is hosting the Northern Fat Bike Summit in February 2016. It is also offering a scholarship fund to help educate groomers by bringing them and their grooming equipment to Marquette for learning and sharing of grooming techniques. For bike rentals look to Downwind Sports, Lakeshore Bike, Quick Stop Bike Shop or Sports Rack LTD, all located in Marquette. More trail details including trail videos can be found at www.noquetrails.org. In northwest Wisconsin, the Chequamegon Area Mountain Bike Association (CAMBA) has worked hard to establish over 300 miles of marked and mapped trails. During winter months, CAMBA grooms close to 40 miles of trails, with various widths (two to four feet wide) and trail difficulty ratings. Using a mostly volunteer labor force, CAMBA purchased a Rokon, a two-wheel drive motorcycle, and a Wildcat grooming drag to accompany a local enthusiast’s similar setup. Together they started grooming trails last year, quickly expanding from 20 to 40 miles of trails for fat bikers this year. Beginner routes are wider and groomed using a snowmobile and a drag. Unlike many areas, the trails in the Cable area are designed with fat bikers in mind, and are not simply shared ski trails. The locals also maintain an up-to-date trail conditions website at www.cambatrails.org. Fat bike rentals are available at New Moon Bike Shop and Riverbrook Bike & Ski. The area is also home to the Fat Bike Birkie, a race on the legendary Nordic route, with 20- and 47-kilometer options in early March, 2016. Renowned for its summertime mountain bike trails, the Gunnison-Crested Butte area is fast growing its fat bike options. With a mix of resort riding and grassroots groomed trails, both beginners and experienced riders can enjoy riding here. At Hartman Rocks near Gunnison, local riders pack in up to 20 miles of trail with regular snowshoe treks. Sea of Sage and Rocky Ridge are often in great condition for fat biking. Many of the area’s dirt roads are groomed for Nordic skiing and fat bikes are welcome, too, assuming conditions keep riders from creating depressions in the groomed snow. There is also a 3-mile fat bike specific loop at North Village, just a few miles past Crested Butte Mountain Resort in the Town of Mount Crested Butte. This site is one of several being used for the upcoming Borealis Fat Bike World Championships in late January. You can also visit Crested Butte’s Nordic Center to buy a pass that gives you access to Town Ranch, Teocalli Connector, Rec Path and Riverbend Connector trails, a total of eight miles of fat bike riding. And at Crested Butte Mountain Resort, fat bike riders are welcome on a limited number of trails before and after the lifts are running. Jug Mountain Ranch near Donnelly Idaho offers a nice mix of nordic access and groomed single track. Great winter workout and winter fun. Having an article of where to ride a fat bike in the winter and leaving out a mention of Alaska is like writing an article about Apple and failing to mention Steve Jobs. Numerous trails connect to the Chugach State Park, a high, alpine tundra park of some 495,000 acres. MULTI-USE TRAILS – These are trails that can be used for biking, walking, running, rollerblading, etc. 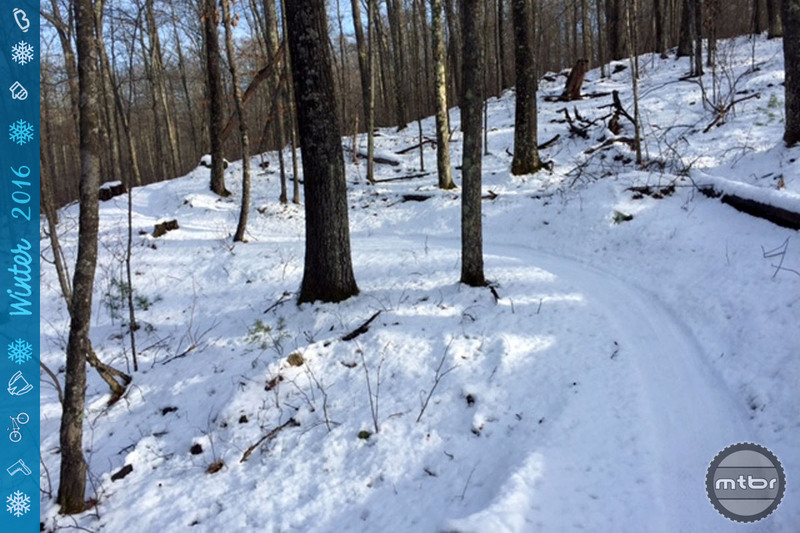 WINTER MULTI-USE TRAILS – One side of the trail has tracks set for diagonal skiers and should be avoided by other users. The packed portion of these trails are used for skate skiing, snowshoeing, ski-joring, running, biking, etc. Just making sure folks know AK is not all crazies and witness relocation program types. Dedicated folks, pushing boundaries and innovating, kicked off fat biking in Alaska bringing the first brands and designs to the market. Surly did see an opportunity and opened doors with the tires, but it was a guy in Palmer and then Fatback and 907 that nudged the participation logarithmic. It would be great if Alaska could become a winter destination for the sport. Resorts in the lower 48 are creating opportunities for winter riding along with folks just going out their back door in other places, but geez, you would be floored to see the number of folks on fat bikes on a given Sunday, or any day, during the winter in Anchorage. I swear I see more people riding fat bikes in the winter than I do on dirt in the summer, and that is in spite of all the new purpose built bike trails we have now, and in spite of all the nordic skiing and backcountry skiing happening. And whats better, winter only ephemeral trails spring up all over the place going places you can’t during the summer. Fabulous!